Call or Text Listing Agent - Kade Welfl - 605-210-0010 for more information. 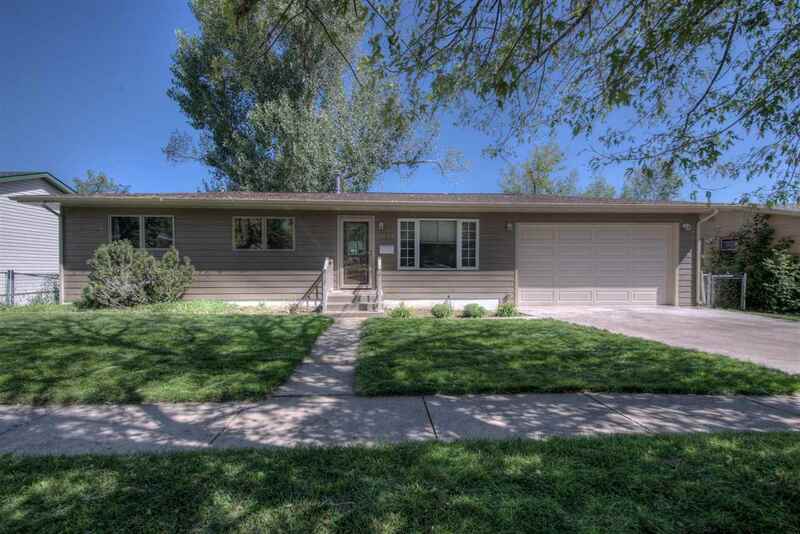 All of the updates have been done to this completely remodeled home that is situated in a quiet neighborhood and within walking distance to the college . The most notable finishing touches to this 4 bedroom 2 bath home include all new floors, trim and doors, Smart Siding and Pella Windows, soft close kitchen cabinets, all new appliances, tiled showers both up and down, updated cedar deck with a custom metal railing and a finished and heated 2 car garage. Additionally, the home includes a wet bar and gas fireplace in the basement living area along with an over-sized laundry room and walkout basement door. Below the 30 x 12 open deck is a concrete patio that overlooks the huge backyard and open area beyond the lot line. Buyer is responsible for verifying all information on this MLS document.